Good time to buy or good time to sell? 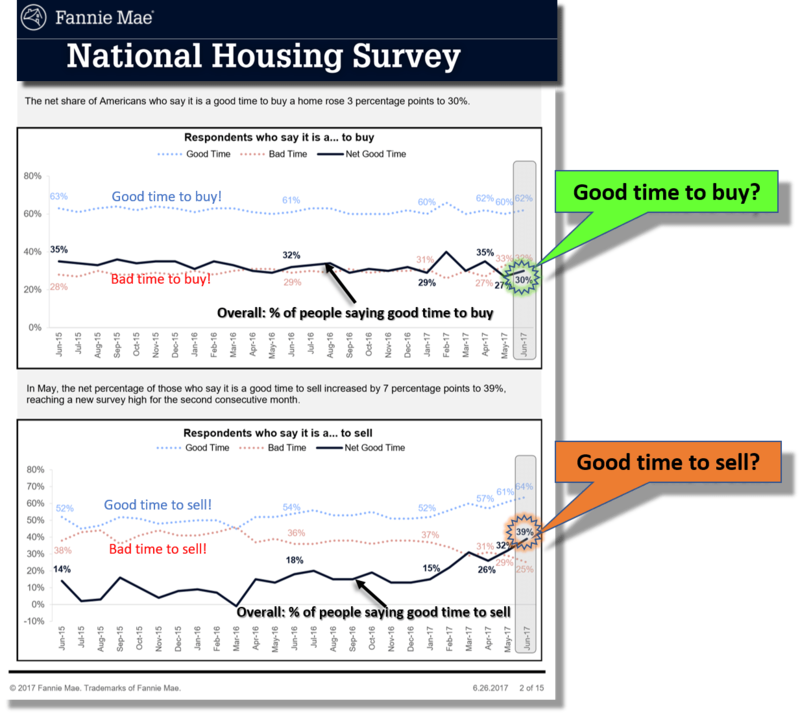 The monthly survey of housing sentiment, compiled by Fannie Mae, shows that Americans’ plans to buy a house have not changed much in past two years (flat at about 30%), but their plans to sell have recently gone up (at 39% in June 2017). The monthly so called Home Price Sentiment Index (R) has lot of good data to further understand what American households think of their home, income, interest rates & job concerns. Click to enlarge. Source: Fannie Mae for summary plots. See key plots here. You can also download the monthly data for past seven years.